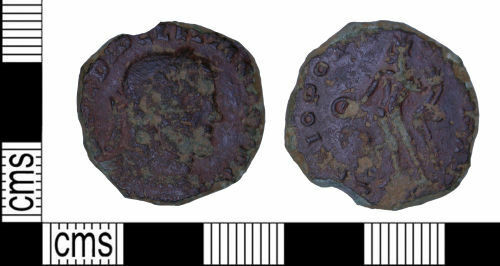 A copper alloy nummus of Diocletian, dating to the period AD 294-305 (Reece period 15). GENIO POPVLI ROMANI reverse type, dipicting Genius with patera and cornucopia. Mint unclear.